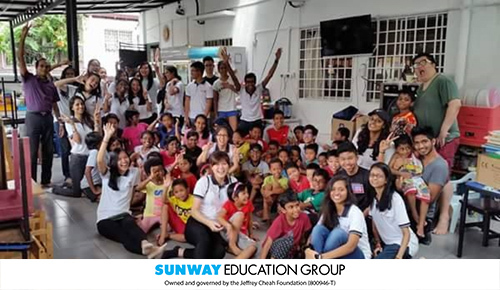 The first objective of this project was to spread joy to the children of the Lighthouse Welfare Home. There were approximately 60 children and they come from abusive families and broken homes. During the games, as they played with the Rotaractors and the guests, we could see the smiles on their faces. They simply enjoyed the company of the members and guests. The next objective was to instil a strong sense of community service among Rotaractors. After the event, questions regarding how they felt throughout the event were posed to some of the members and guests of the Rotaract Club of Sunway University. Some of them expressed their feelings, that it is important to have love and attention so that the children would feel appreciated. Most importantly, their feedback had one thing in common: they wanted to help the welfare home more, in terms of studies and financial assistance. Overall, these objectives were met.